Hello there young trainer, are you keeping well? Got stocked up on Pokéballs? Potions? Repels? What.. you've not got any Repels? But you'll need them for those pesky Bug Pokémon.. okay, okay, I'm sure you know best. Introduced in Pokémon Gold and Silver and heavily expanded upon in Diamond and Pearl, Swarming Pokémon isn't exactly a brand new concept. The introduction of a rare Pokémon into a new area, it's been something worth keeping your eyes (and ears) out for since those early days. However, there are brand new Pokémon swarming through Unova once you've beaten the Elite Four (I think they only let them out once you're a champion or something, I've never quite understood it myself..), different to those who swarmed in Black and White. Once you have beaten the Elite Four, you'll begin to notice as you pass through the Gates between two Routes that there will be notices to say where Pokémon are swarming, but without specifying the actual Pokémon itself. That's where I come in. 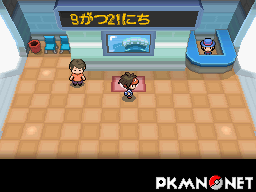 Ordered below, you'll be able to see which Pokémon appears on which route. Each Pokémon will have a 40% encounter rate, with the Pokémon normally native to that route having their encounter rate adjusted to suit. Ninja001 on Mon 06 May 2013 14:39:40 UTC. Page generated with 56 queries, excitingly.